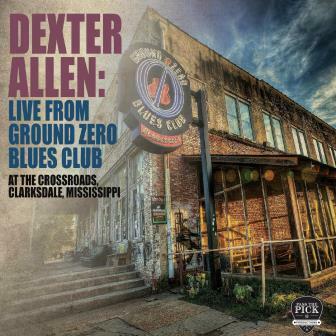 Mississippi native Dexter Allen’s new album Live From the Ground Zero Blues Club is a suburb live recording that highlights Allen’s combustable Stratocaster licks and soulful, muscular vocals. Allen, with his band — bassist Jonah “Lefty” Nelson, drummer John Blackmon, and keyboardist Cedrick Smith — offers an assortment of tunes that ranges from straight-ahead, rock-endued blues to soulful ballads to a funky, and unexpected, cover of Paul McCartney’s “Big Barn Bed,” which, due to Allen’s splendid vocals and fab guitar licks, takes a mediocre McCartney tune and makes it remarkable. Along with its fine production values — this is simply one of the finest live recordings I’ve heard in quite a while — there are many songs to commend on this album. It kicks off with Allen’s autobiographical “Coming Home to Mississippi” that drenches his recollections of and reflections upon his family in a seriously funky groove that lends the album a warm familiarity. 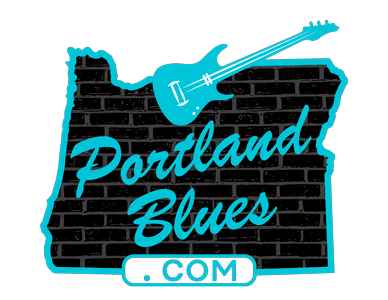 Another highlight is the slow-tempo “Still Called the Blues” where Allen and Cedrick Smith exchange savory riffs that supply a bluesy musical landscape for Allen’s plea for “men and women, boy and girls” to “not give in” to the overwhelming problems life often offers up. It’s a poignant message wrapped in sublime music that never stoops to mere sentimentality — the product of a mature songwriter and talented musicians in complete control of their craft. Finally, the album leaves us “Ain’t That A Shame,” (the tune’s original even if the title is not) a rollicking musical workout with Allen again showcasing his godlike, blistering guitar pyrotechnics. At times subtle and then explosive, it’s a fitting conclusion to a terrific live album. Highly Recommended.